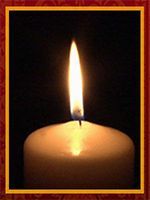 Mary E. Kirchner, 91, of Lancaster, PA, passed away peacefully at Conestoga View on Tuesday, October 22, 2013. Mary was the wife of the late Albert G. Kirchner. Born in in Kirkwood, PA, she was the daughter of the late Hugh F. and Grace L. (Gruber) McCrea. Surviving is a son, Larry E., husband of Carol Kensinger, of Stevens, PA, and two daughters ,Diana E., wife of Robert Long, of Holtwood, PA, and Darlene L., wife of Ronald Good of Lakeland, FL, five grandchildren, and 13 great-grandchildren. Mary was a member of Church of Christ, the Women of the Moose Chapter 767, Happy Hours Club, AARP 4221, Better Home Booster #2, and Senior Hospitality of Sacred Heart. Mary was a dear lady and sweet stepmother who graciously welcomed us whenever we were able to visit in Lancaster, PA. We remember fondly the time she and Albert were able to visit us in Texas and go sightseeing with our family. Mary was always delighted to talk about her children and show their pictures; and she kept up to date about our children and grandchildren as well. We were honored to know her and share a part of her life. She was in our thoughts and hearts, but we regret we were unable to locate her after she moved from her apartment. Our deepest sympathy to her children and their families. may mary rest in peace, and god bless her soul.